All-new, built from the ground up, custom website with a modern, clean & professional look. 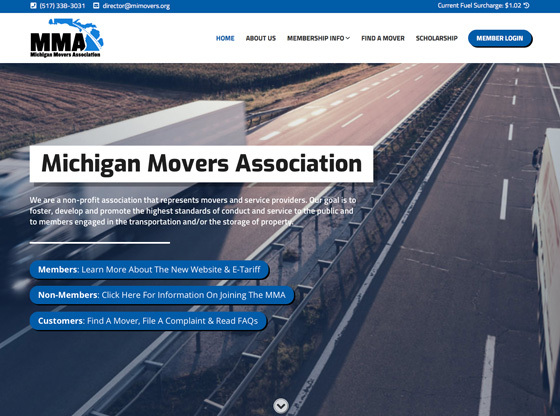 The website was designed to make it much easier to navigate and find information. Many PDFs such as the Membership Application form have been replaced with on-site content and web forms. All information is current and up to date. Now fully mobile responsive – which is a fancy term that means the website looks great on whatever device you’re using: smart phone, tablet, laptop, etc. Much, much easier to use. Quick 3 step process that greatly reduces errors and miscalculations. Create new, edit, save & delete estimates. All past estimates are stored and accessible. All information secure behind personal logins. 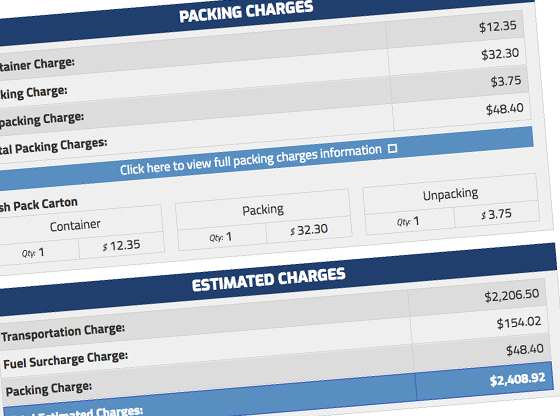 Always uses the most up to date information and fuel surcharges. Personalized business information & logo on generated PDF Estimates & Bill of Ladings.